Attractive and appealing, what a great addition to any nursery or playroom these would be. 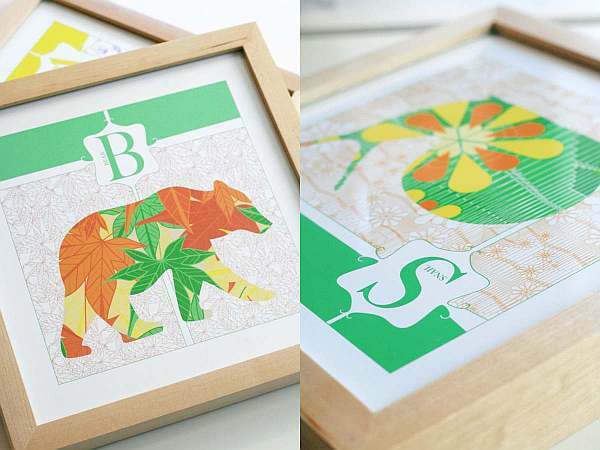 Animal Alphabet prints are the work of Boston mum-to-be Jennifer Hill, who came up with this great series of graphic designs featuring creatures from Australia to Africa and America! Twenty-six different pictures range from an aardvark to a zebu. Jennifer says she draws her inspiration from her travel daydreams – places she’s never visited except to imagine what they are like. The result is an array of colourful and intricate patterns that look great. Each print is US$25 unframed or US$50 framed from Jennifer’s website, JHill Design. Shipping to Australia is available.